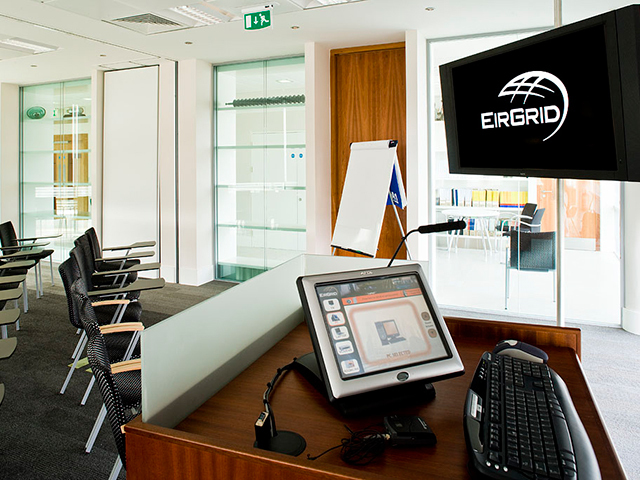 The EirGrid Group’s task is to deliver a safe, secure and reliable supply of electricity – now and in the future. The EirGrid Group achieves this goal using a family of organisations – EirGrid, SONI and SEMO. Following tender process, Image Supply Systems was appointed complete the AV Fit Out of the new EirGrid Head Office in the Oval Building, Shelbourne Rd. Dublin 4. 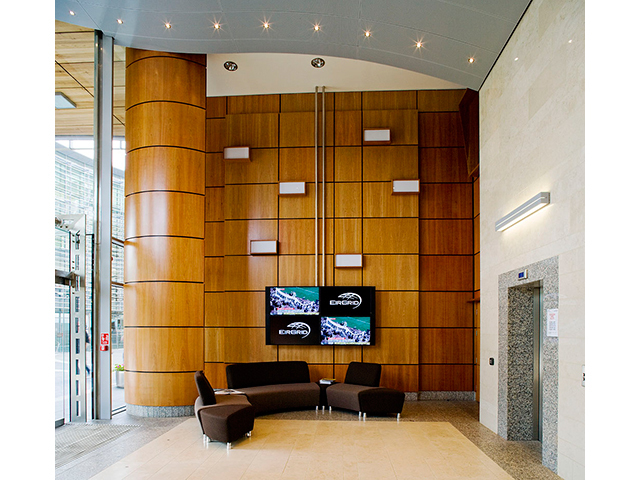 The fit out of the 6-storey building features extensive state of the art equipment in 18 rooms/ locations. Services provided included design, supply, install & commissioning of presentation equipment in 9 meeting rooms, training room, managerial offices, conference rooms, (general & video conferencing) boardroom, reception, canteen, building-wide TV and content distribution network. All presentation equipment is controlled via room control system. Deliver comprehensive post-installation support and maintenance. Reliable and flexible professional quality systems. Intuitive and consistent control allows users to implement meetings and presentations efficiently and with ease. 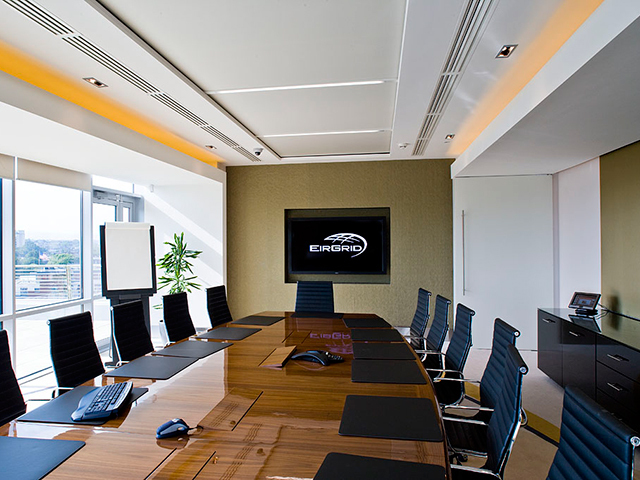 Image Supply Systems continues to provide technical support for installed AV and conferencing systems.